Film fans take their holidays on location. It all started with The Lord of the Rings. Following the movie release of the blockbusting trilogy, J.R.R. Tolkien fans from around the world converged on New Zealand so dramatically the hospitality and tourism industries didn’t know what hit them. Since then, the steady growth of cinema as travel inspiration has kept tourism boards on their toes, scrambling to keep up and cash in. Film-induced travel to prominent locations can boost visits by up to 300 percent. Simply said, travelers want to experience for themselves what the places they see at the movies look like in real life, and they’re willing to spend the money to do so. Television is just as important as cinema too: A recent TripAdvisor trend report revealed that 20 percent of travelers have visited a destination because they saw it on TV. Essentially, your favorite TV shows may be subconsciously influencing what ends up on your travel bucket list. Nowhere is this bigger than at locations providing the backdrop for Game of Thrones. Verdant forests, medieval villages, icy tundra—the series has even gotten big enough to affect the marketing plans and economies of more than a few places. Iceland has seen an astounding 386 percent increase in tourism over the past eight years—spurred in part by its role in the epic series. It stood in for the ominous-sounding lands “beyond the wall.” Croatia is the setting for King’s Landing, which has seen a giant boost in interest, as has Northern Ireland’s pretty coastal villages and the 200-year-old trees of the Dark Hedges. Urban film locations also generate massive cult appeal, especially hotels that get a starring role. Fans of American Hustle are drawn to the lobby of Fairmont Copley Plaza in Boston where parts of the movie were shot. In fact, many Fairmont hotels have seen their fair share of Hollywood hits and indie favorites, including Fairmont San Francisco (Vertigo, Towering Inferno and The Intern) and Shanghai’s Fairmont Peace Hotel (As Time Goes By in Shanghai and Empire of the Sun). And at Fairmont Le Château Frontenac in Quebec City, where the Korean soap opera Goblin: The Lonely and Great God was filmed, there has been a substantial boom in visitors from that country. 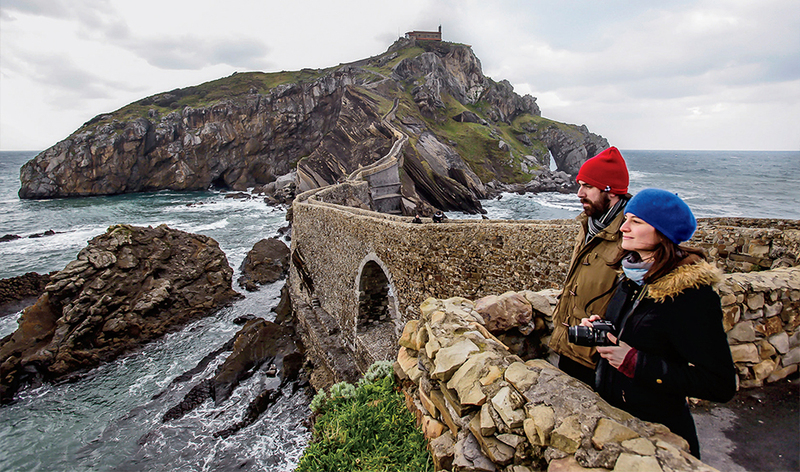 Not only is movie tourism a way to dive deeper into a film, it’s also a new way to discover a destination, maybe even encouraging people to venture to places they wouldn’t normally visit. Outlander is responsible for sending people to Scotland in droves, with the Scottish period drama’s title being one of the most popular search words at VisitScotland.com. Regarding iconic movies, new generations of film tourists are revisiting the classics and their locales. 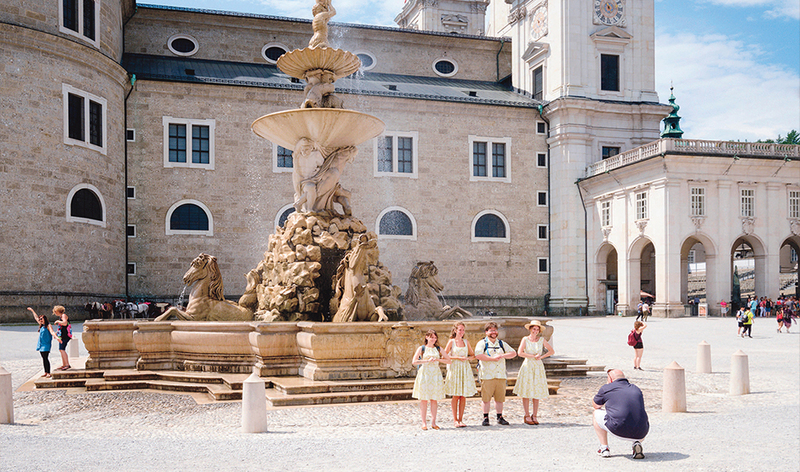 Each year, Salzburg welcomes 300,000 visitors at its The Sound of Music locations. James Bond film buffs have been frequenting tropical islands ever since Dr. No was released in 1962. Jurassic Park fans still fly to Oahu, Hawaii, to explore natural wonders and evoke the most famous of dinosaur movies. The films don’t always have to be new, either. 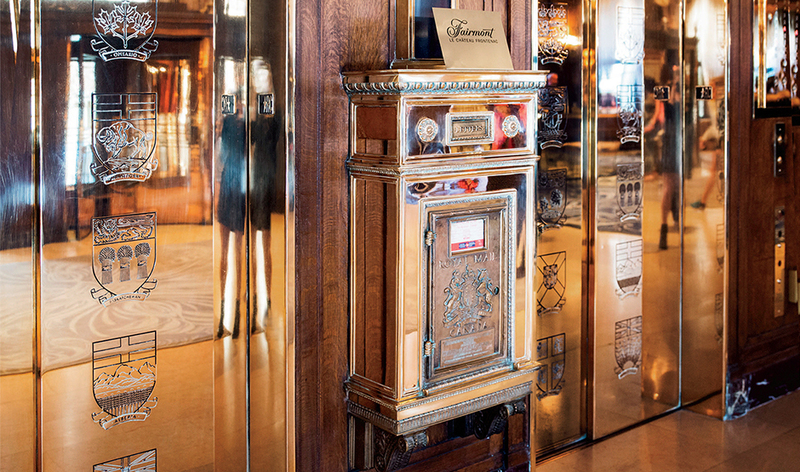 London’s The Savoy, A Fairmont Managed Hotel, continually takes requests from movie fans wanting to book their Personality Suites, designed with mementos and art associated with stars like Frank Sinatra and Katharine Hepburn. How will this movie trend turn out in the end? We’ll have to wait and see—popcorn and passport in hand. The new Fairmont Loves Film program, which launched during the 2018 Toronto International Film Festival at Fairmont Royal York, is a series of pop-up cinematic events that highlight how Fairmont properties around the world are intertwined with the big screen. Led by Fairmont’s new Film Ambassador, renowned director and screenwriter Gia Coppola (pictured), the program premiered with a short film exploring Fairmont’s historic connections to the world of cinema created by young artist Cuba Tornado Scott, granddaughter of director Ridley Scott.